The focal point of any reception, besides the bride of course, is the wedding cake. Guests can't help but head straight over to see what beautiful creation will be served up for dessert. These delicious cakes are works of art, adorned with romantic, whimsical, or classic wedding cake toppers that people love to admire. 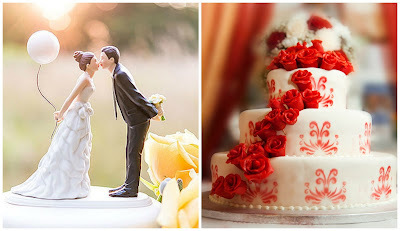 WhereBridesGo.com did a bit of research and discovered a few wedding cake designs that seem to be very popular this season. 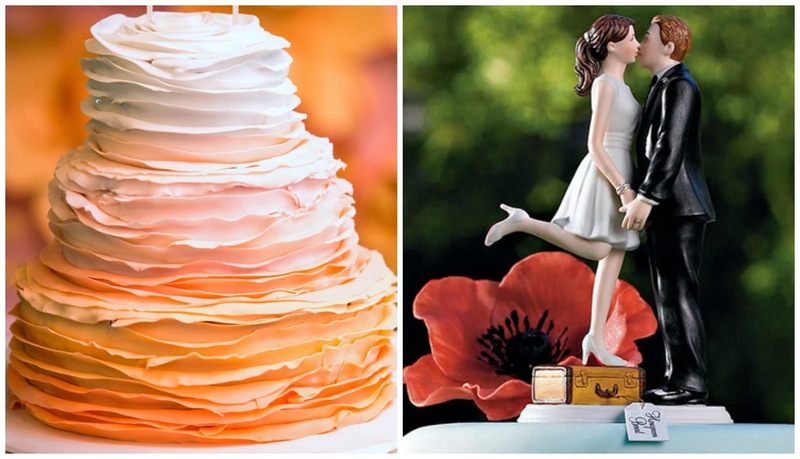 While the type of cake that you choose to have at your wedding is completely up to personal preference, these 2016 wedding cake trends may inspire your decision. Many of these cake trends directly mimic the same general 2016 wedding trends that we wrote about at the end of last year. One of these is the use of metallics in the decor. Nowadays, your cake icing can have this shiny sheen too. It can be the entire cake, the details piped onto it, or even a shimmery metallic ribbon decoratively place around each tier. This may sound very plain, especially after talking about shiny metallic cakes. On the contrary, a cake iced with white and decorated with white details on top of that offers a lovely, classic look. The addition of different textures gives the traditional feel a contemporary twist. 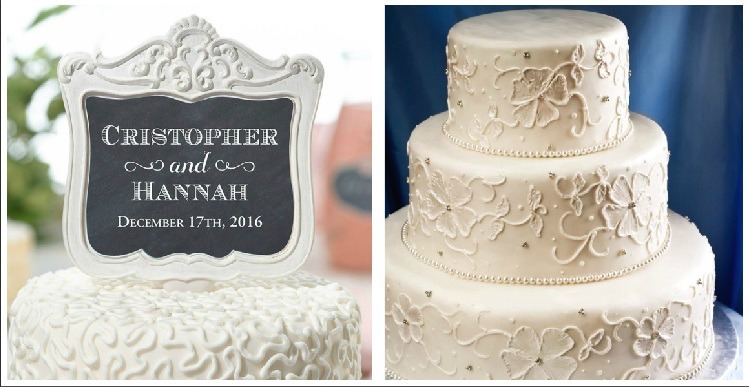 A very popular texture to use is icing that replicates the look of delicate lace. Another popular wedding trend is "bringing the outside inside." This is often carried over to the cake, incorporating natural elements into the way it is decorated. This can be done with real flowers or edible sugar versions. Talented cake designers have no problem making yummy leaves, branches, and flowers that closely resemble the real thing. These cakes are especially perfect for an outdoor or rustic wedding. A frilly trend that can look both elegant and whimsical is the appearance of ruffles. This is another fascinating texture that makes one amazing wedding cake. Similar to the ruffles, many couples choose to have rosettes placed all over the surface of the cake, turning it into an edible floral centerpiece. These ruffly looks also work brilliantly with the ombre colors that many brides still love. 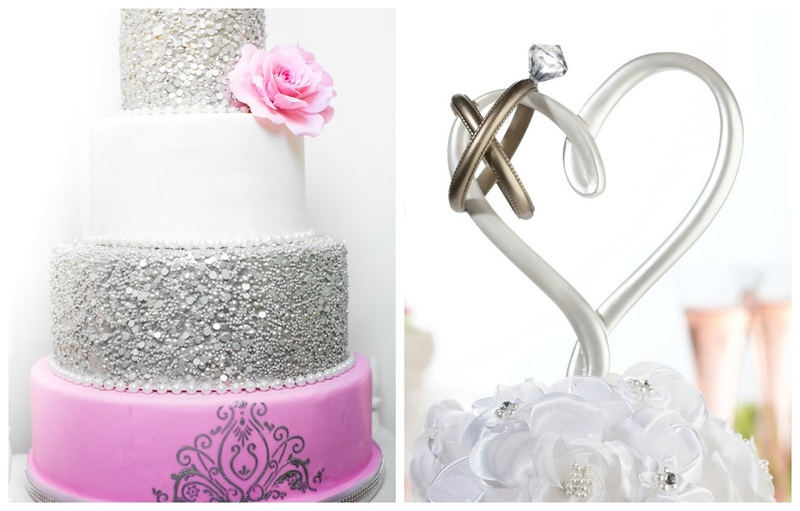 This wedding cake trend seems to be standing the test of time. With this version, you skip the icing on the outside of the cake and decorate instead with berries or florals. Some bakers slightly skim a bit of the buttercream from between the layers around the outside of the cake for a semi-naked look. We have seen a few different versions of this: a watercolor effect on fondant, food coloring directly painted on a "naked" cake, and even an intricate stained glass effect. The idea is to have the cake designer (aka- artist) make the outside of your dessert look like it was hand painted. Watercolors and pastels are showing up in wedding decor a lot now too. 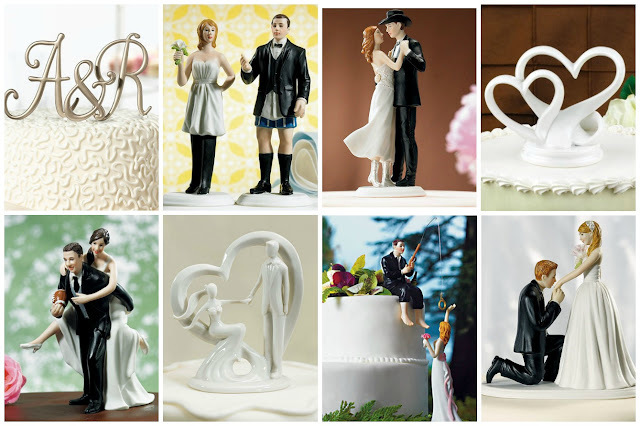 Originally, wedding cake toppers were a representation of the bride and groom dressed in their formal attire. Today, these toppers come in every size, shape, and style that you can imagine. They can be monograms, shapes, or the traditional bride and groom in not-so-traditional depictions. They can represent the couple's personality, a hobby they share, be romantic, or be hilarious. The story that kept popping up when we looked into the history of the wedding cake topper is over a century old. A baker's daughter requested a symbol that would show everyone the undying love between herself and the groom. After thinking long and hard about this, the father decided to place figurines that looked like the bride and groom on top of their wedding cake. It was successful because the bride was overjoyed, and soon everyone was doing it. When you are ready to choose your own wedding cake topper, our website has an incredible selection to choose from, a few of which you have seen in today's blog. There's a lot more where those came from! 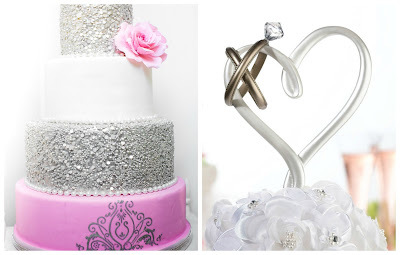 WhereBridesGo.com is your one-stop-shop for all of your wedding accessories. Is an Aisle Runner Right for Your Wedding?